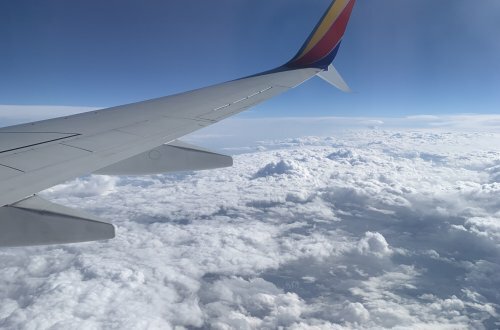 Barcelona is a popular destination in Spain, especially since it has one of the country’s major international airports, city life, and the beach all-in-one. Any travel guide for Spain will certainly have Barcelona listed on it. After all, Barcelona is Spain’s most visited city. It’s a major city that is definitely a place people should visit, but it’s not everyone’s cup of tea. For the time being, Barcelona is located in the country of Spain and the autonomous community of Catalonia. The main language of Barcelona, and all of Catalonia, is Catalan. We felt as though the second most popular language spoken was English over Spanish. 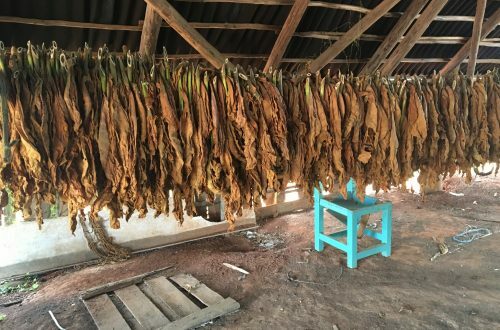 So if you do not speak any Spanish do not worry as English is widely spoken. The regional pride for Catalonia is the main reason for this. Some Catalonians want the region of Catalonia to be a completely separate country from the rest of Spain. There have even been recent protests because the region of Catalonia voted to become a separate country, but the Spanish government is not allowing it. You can read about it more here. 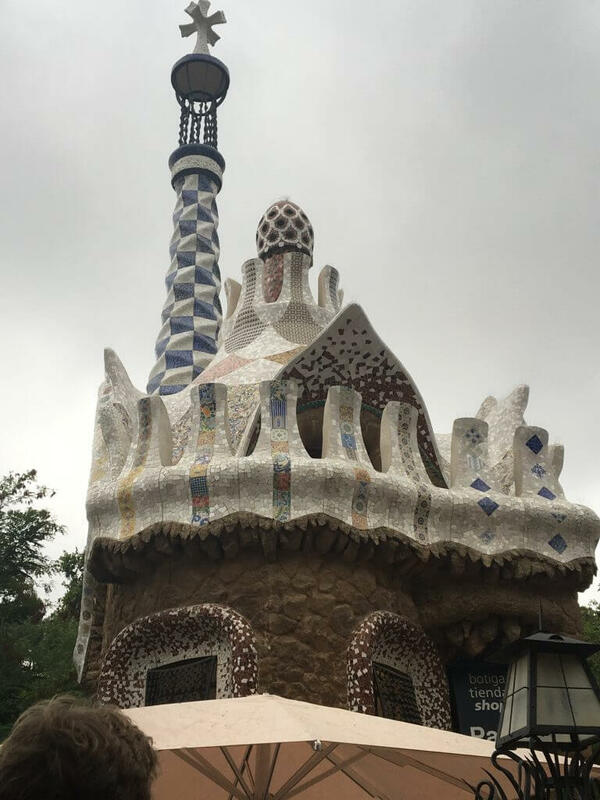 All of that aside, Barcelona is a great city to explore! As (almost) always, we stayed at an Airbnb. Our Airbnb was located in the L’Antiga Esquerra de l’Eixample neighborhood, just west of the city center. There is public transportation to get around, but we opted to walk almost everywhere. 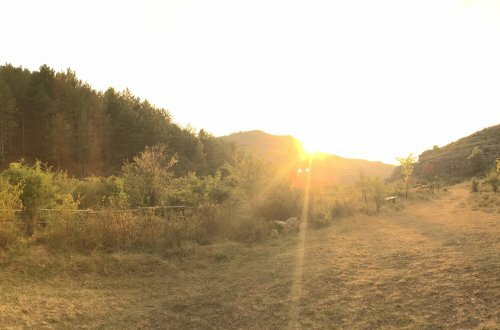 The place we stayed at is no longer listed on Airbnb. It was a far walk from that neighborhood to the center, but Airbnbs in the center of Barcelona were quite expensive. In fact, much of the center of Barcelona is being turned into a tourist town because rent prices are being driven up by Airbnbs and tourism. Beach – Platja de la Nova Icària and Platja del Bogatell are the main beaches on the Mediterranean coast in Barcelona. If you have the time, definitely spend a day at the beach to enjoy the water and soak up the sun. There will be plenty of people trying to sell you souvenirs and cocktails. We recommend bringing your own! La Boqueria (Market) – La Boqueria is an awesome market in the center of Barcelona, and it can be a great way to save some money on food. We suggest walking around to scope out all the different stands before picking one (or 2 or 3) to settle on. 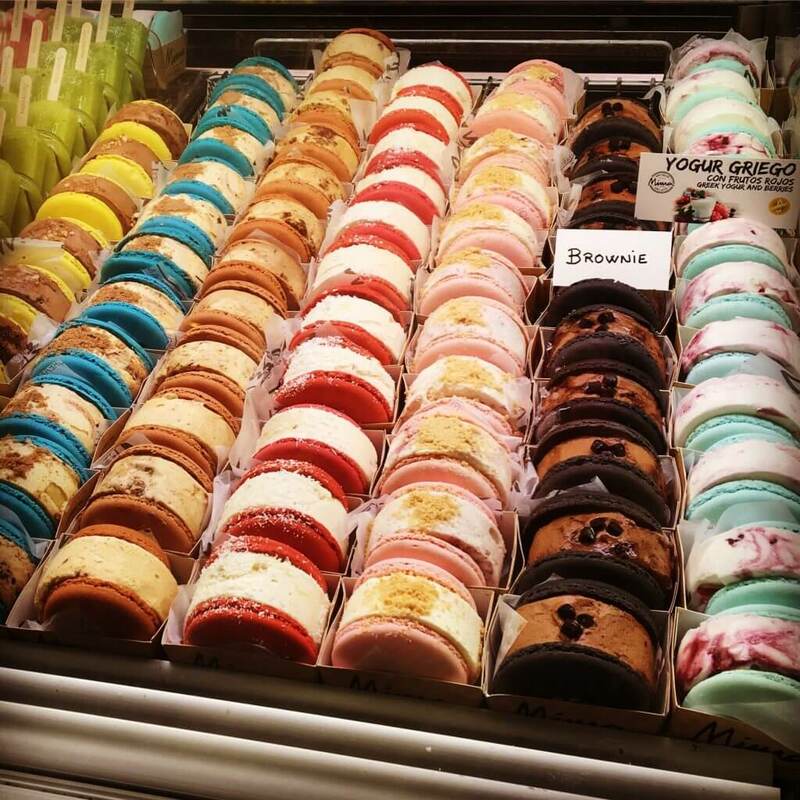 There are really good macaroon ice cream sandwiches, or ice burgers as the vendor had them translated, that we tried here. 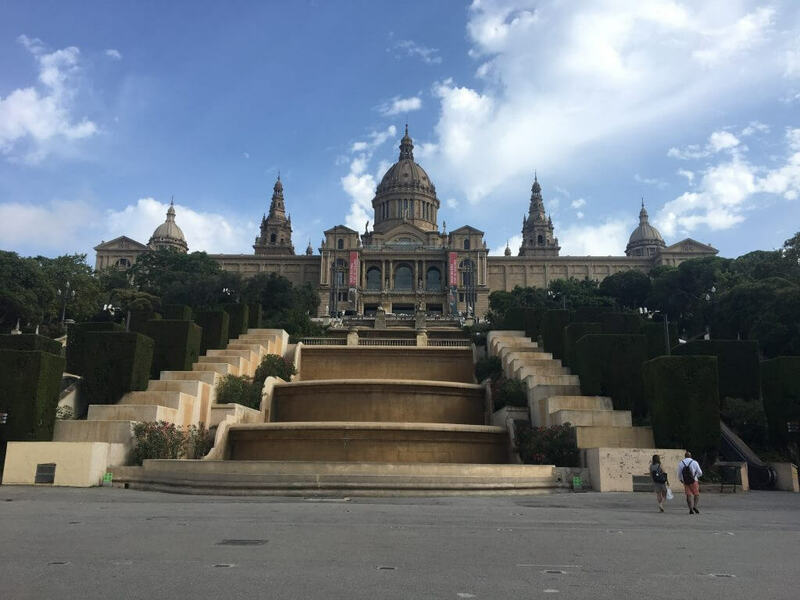 Museo nacional D’art de Cataluna – Unfortunately, we did not check the hours ahead of time (rookie mistake), and once we got to the museum we realized it was closed. It’s closed on Monday, so do not make the same mistake as us! That said, we still were able to take pictures outside of the museum. 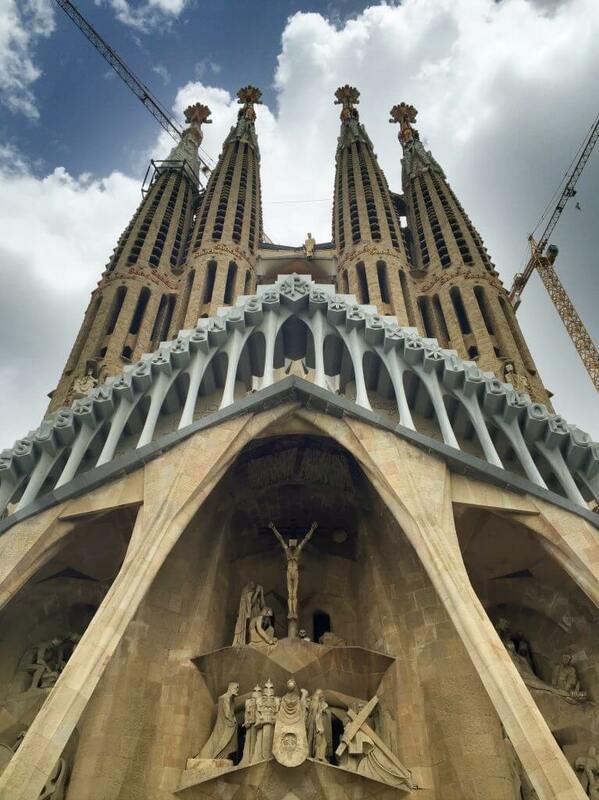 It has one of the best views of Barcelona, so take advantage of snapping some good pictures when at the top. 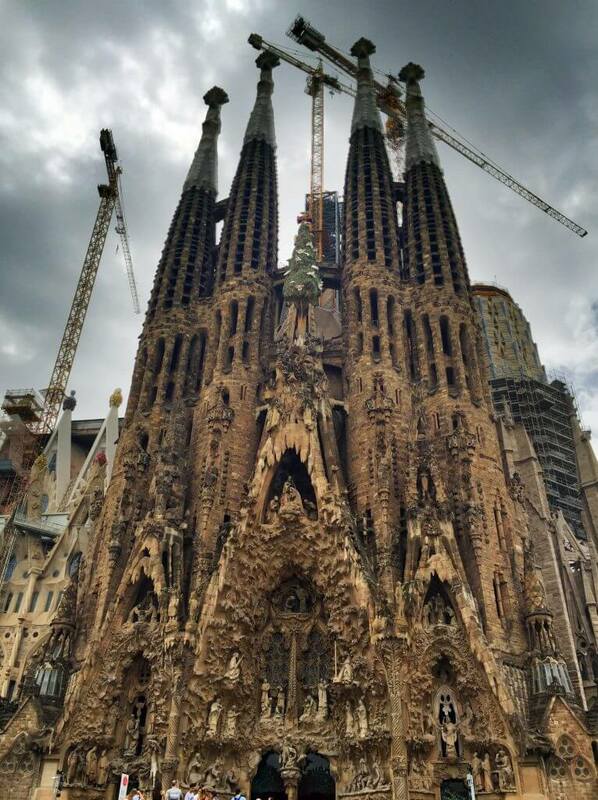 La Sagrada Familia – The La Sagrada Familia is a very famous Roman Catholic church designed by the famous architect Antoni Gaudi. It has been under construction for 36 years; however, it is still open to the public. You can choose to go inside and take a tour or just admire the architecture from the outside. If you choose to go inside we recommend getting your tickets ahead of time. You can get your tickets here. 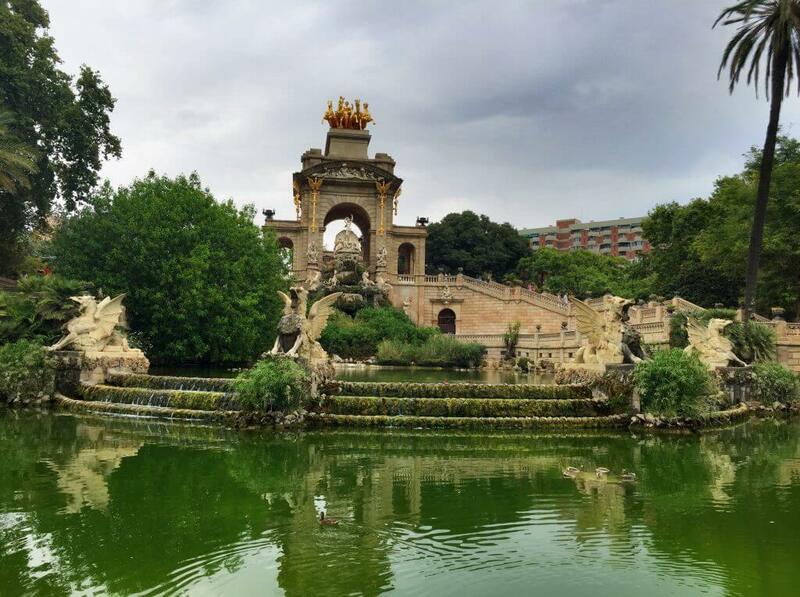 Parc de la Ciutadella – This beautiful park is a great place to take a stroll. 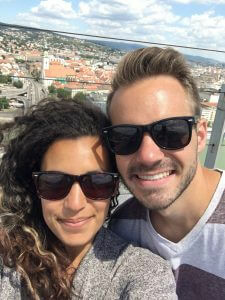 There are many things to do, including visiting some of the museums, going to the zoo, greenhouse, or renting a row boat. When we went to the park, it was a rainy day, but we still were able to check out the Cascada Monumental. 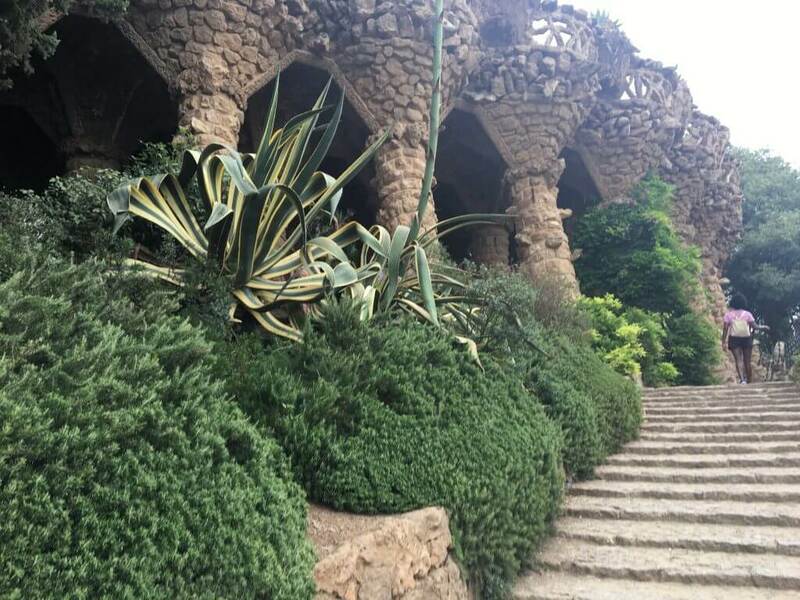 Park Güell – Gaudi also designed this beautiful, whimsical park. You have to pay to get in, but it’s worth it. You can pay extra to have an extended tour if you want. We didn’t do this, but it gives you access to more of the park. Park Güell also has some great view of Barcelona. 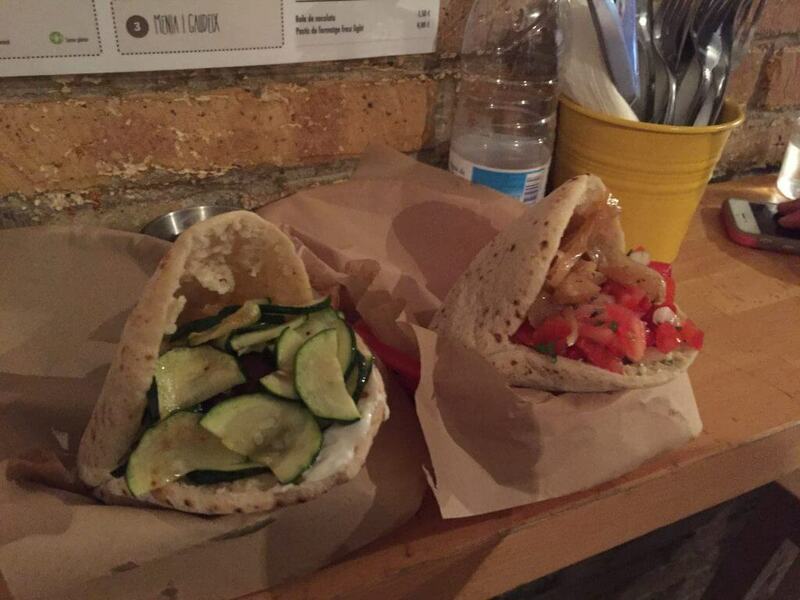 A tu bola – This is a delicious pita style place with different options to satisfy your taste buds. It’s pretty reasonably priced, which can be hard to find in Barcelona, and delicious. We got the pollo caribena and the lenduri pitas. Black Remedy – Black Remedy was a really cool coffee place in the Gothic Quarter of Barcelona. We split a salad and had a tea and coffee. It’s a great place to stop and get a coffee in Barcelona. Cat Bar Cat – If you’re a vegetarian or vegan, visiting Barcelona, and all of Spain for that matter, can be pretty difficult because there’s meat in just about all of their popular food! However, you’re in luck! 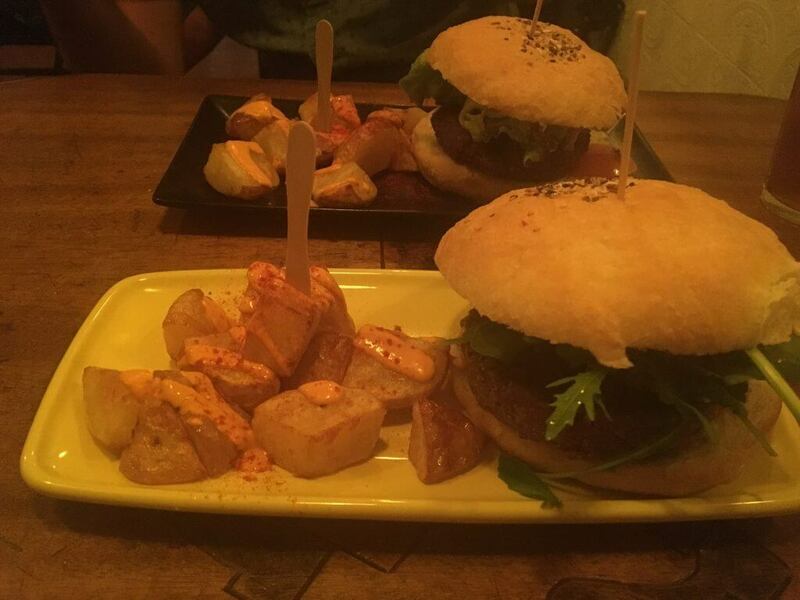 Cat Bar Cat is a great vegetarian restaurant serving up delicious veggie burgers in the heart of Barcelona. They also have their own beer which is quite tasty. We opted for the crazy burger and black cat burger. 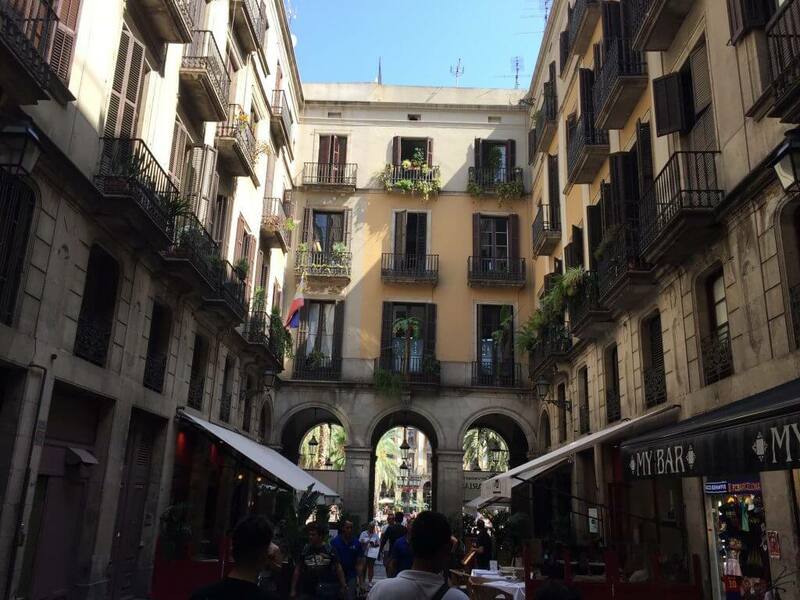 El Born Bar – We ended up here after stumbling upon it while we were just walking around. It was a really chill bar that played all kinds of 90’s music and had very friendly servers. Green and Berry – Green and Berry is an absolutely delicious restaurant that serves up locally sourced vegetarian and vegan food. 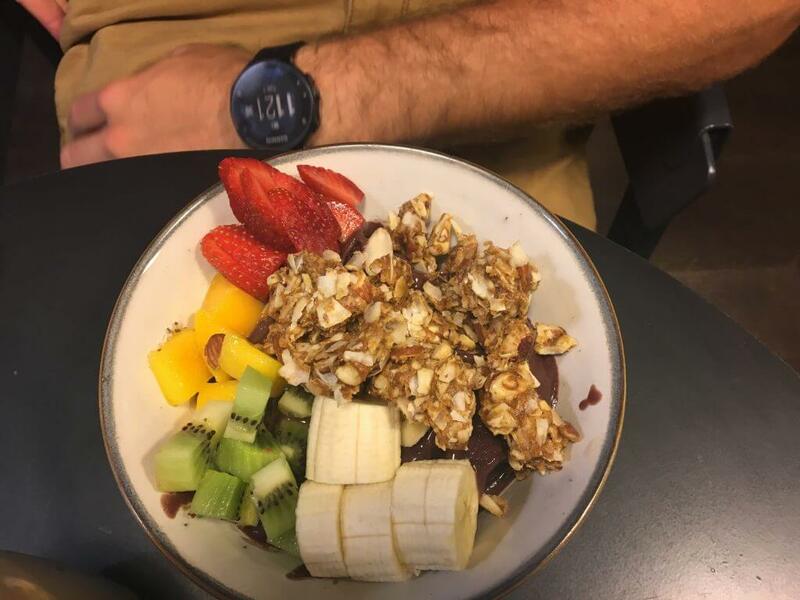 Mike had his first açaí bowl here! We also got the tofu scramble sandwich and some juices. It’s a little on the pricier end, but the fresh veggies tasted great. 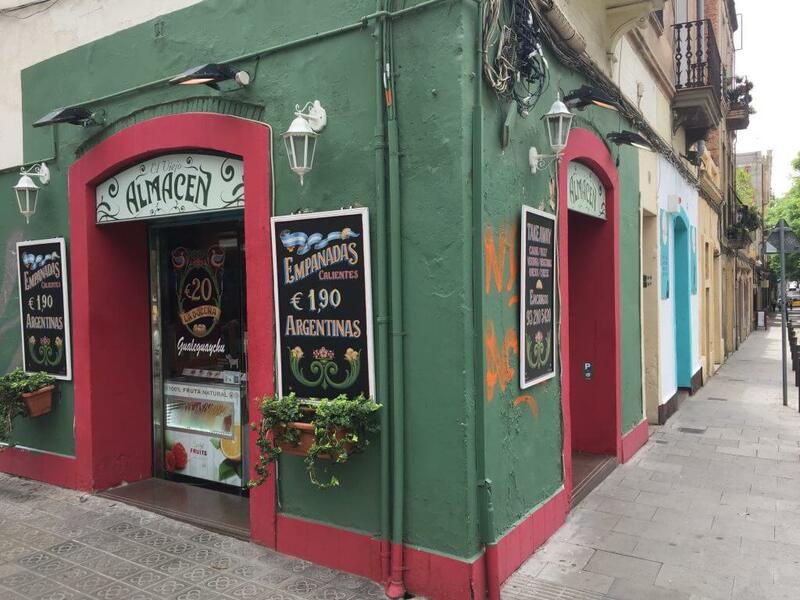 El Viejo Almacen – This small, hole-in-the-wall place served up cheap and delicious Argentine-style empanadas. There’s no place to sit inside, so we ate them at the park across the street. It was a nice place to grab a quick bite on our walk to Park Güell. La Boqueria (Market) – We’re mentioning La Boqueria a second time because there are so many food options here. Whether you eat here or not, make sure you walk through. Although, it’s sure to make your mouth water, so you still may end up ordering something. Fábrica Moritz – Fábrica Moritz is a restaurant and brewery in the heart of Barcelona. The beer and food were good. It’s not a must-eat or drink in our opinion, but it might be worth checking out if you’re interested in breweries. Barcelona is the most visited city in Spain, and it’s many people’s favorite city in Spain to visit. There’s so much going on, and the blend of Catalan culture within Spain is certainly unique. It will be interesting to see if anything happens with the Catalans’ struggle for independence in the coming years. In the meantime, there’s plenty to do in Barcelona if you’re traveling there. What are your recommendations for Barcelona? What are your thoughts on Barcelona? Is it your favorite city in Spain? 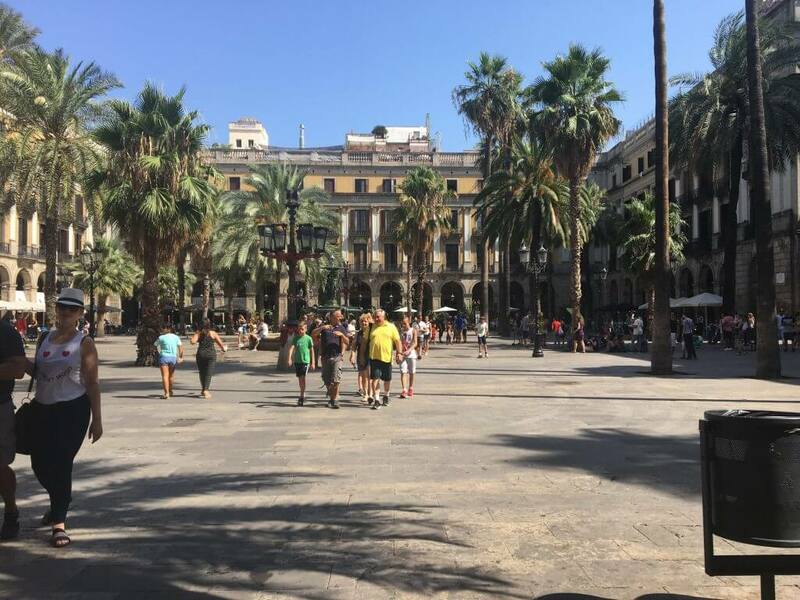 Have you ever hired a local guide in Barcelona or any other city? Also, have you ever taken a cooking class in a city and how did you arrange that? We’ve never hired a local guide, but it might be worth searching for free local walking tours. Many big cities have them, and it only costs a suggested tip. As for a cooking class, we haven’t taken one, but try looking on Airbnb for some Airbnb Experiences. We’ve done a few of those and have had great experiences!